USDA and the Office of the U.S. Trade Representative recently announced that Morocco is open to imports of U.S. beef. And according to the U.S. Meat Export Federation (USMEF) representative in Africa, Morocco is one of these places that’s exciting when it comes to U.S. beef and U.S. beef variety meat. Joe Schuele has the story. Monty Brown, U.S. Meat Export Federation (USMEF) representative in Africa, just completed his initial visit to Morocco. With assistance from the USDA Foreign Agricultural Service (FAS) staff in Morocco, Brown met with several prospective buyers and distributors who expressed strong interest in U.S. beef. Brown notes that the duty-free quotas included in the U.S.-Morocco Free Trade Agreement offer plenty of capacity for establishing a foothold for U.S. beef in Morocco. 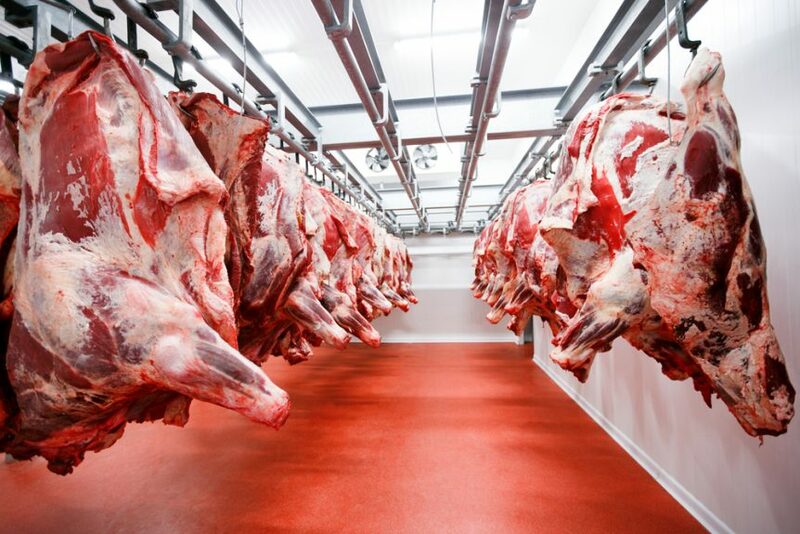 These quotas provide U.S. beef exporters with a significant advantage over competitors, with Morocco imposing applied tariff rates of 150 to 200 percent on imports from non-FTA suppliers. In 2019, the duty-free quota volume for USDA Choice or Prime beef cuts entering Morocco is 6,660 metric tons (mt). The quota volume for other U.S. beef cuts and beef variety meat – such as tongues and livers – is 2,390 mt. Under the free trade agreement, all duties on U.S. beef will be phased to zero by 2023. Joe Schuele: Morocco recently opened to U.S. beef and Monty Brown, the U.S. Export Federation’s (USMEF) representative in Africa, just completed his initial visit to Morocco. Brown has more details in this USMEF report. Monty Brown: We had meetings with seven different companies which were arranged by FAS in Morocco. Initial reaction from the majority of the buyers was that they were very interested in U.S. beef and we do have a high-quality beef quota where the items have to be Prime and Choice. This is for six thousand six hundred tons at zero duty, so quite a lot of scope there to get product into the marketplace. The Prime definitely will be going to the high-end hotel and restaurant sector. We probably will be able to do a lot more with the Choice grade, purely because of the price differential that it will offer, and we know that Choice will be a superb eating experience. Once we introduce it to more and more consumers in Morocco, it will be a product they’re going to look at. Joe Schuele: The duty-free quotas included in the U.S.-Morocco Free Trade Agreement are extremely important, as Morocco’s standard tariff rate on imported beef is 275 percent. Monty Brown: There’s a separate quota for frozen ground beef patties and one of the companies who specializes in restaurants, they’re very interested in this product. They are certain they can develop the market for burger sales. But we also have a third quota, called the Standard Beef Quota, for two thousand four hundred tons, again at zero duty. We can put in some frozen tongues or other offals, and what could very interesting for a lot of companies there – some frozen liver. I think Morocco is one of these places that’s exciting when it comes to U.S. beef and U.S. beef variety meat. They are open to all the products and there’s a willingness to make business there. I would like to think that in 12 months time we’re all talking about how successful the U.S. beef business is in Morocco. Joe Schuele: For more information, please visit USMEF.org. For the U.S. Meat Export Federation, I’m Joe Schuele.